At WaterFarmers we believe, those who innovate the way we grow today will lead the way tomorrow. We are committed to delivering the most complete bio-mimicking food security solution known as Aquaponics, driven by our belief in hyper-organic food production. WaterFarmers offers full service front end engineering development (FEED) for Aquaponic greenhouse projects. But that is only the beginning, through our lifetime support commitment, each and every one of our projects is seen through to the best results and practices. How does an Aquaponic business deal with change and plan to succeed, even in tough situations? It is important to understand that there usually are pronounced differences between your business’s goals, the strategy to get there, and the management necessary for different aspects of the project. The key to making it all work is to incorporate all of these very different things into a cohesive action plan. So where is a good place to start the process? We thrive on bringing ideas to life! As agronomic strategists, aquaponic designers, greenhouse developers and organic brand marketers, our work realizes potential using data that fuels optimization. Through concentrated effort and attention to detail our projects flourish. Our clients rely and count on us to provide results — we do that. 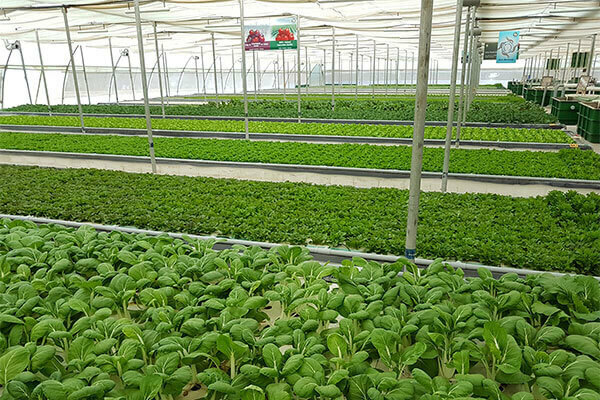 Aquaponics is an attractive business opportunity for farmers and new entrants to the food production sector. These are typically large multi span greenhouse type systems, scaled to suit the business’ requirements. WaterFarmers’ designs in this category feature state of the art components, designed around simplistic methodologies, creating space for the seamless union of automation and human ingenuity. Smart design is an integral part of Waterfarmers’ full service growing concepts. We offer data driven greenhouse solutions and combine traditional horticultural knowhow to support and optimize your business. At WaterFarmers we specialize in developing value generation models like food parks, special economic zones, resort integration, off grid systems, urban farms and integrated value stream production systems. For this purpose, our team works in tandem with business owners to define best practices for the successful implementation of these Aquaponic models and provide customers with tools to success such as application specific designs, build plans, production strategies and operations and facilities management systems. The best and most sustainable food systems are the ones that focus on the right blend of economic and environmental sustainability – these are the food systems that will nurture the unborn generations from whom we are borrowing resources. The power of Aquaponics in community re-investment initiatives, can never be underestimated. The myriad of options and operational simplicity makes Aquaponics the ideal strategy for long term regional self sufficiency development plans. Waterfarmers have time and again been involved in community initiatives around the world. Aquaponics is an ecological confluence of many sciences and no other better place than in High Schools, Colleges and Universities to explore the engineered science of growing organic food through Aquaponics. At WaterFarmers we passionately believe that Aquaponics in education will benefit the youth of tomorrow bringing their attention to the significance of food security and food purity in today’s world. 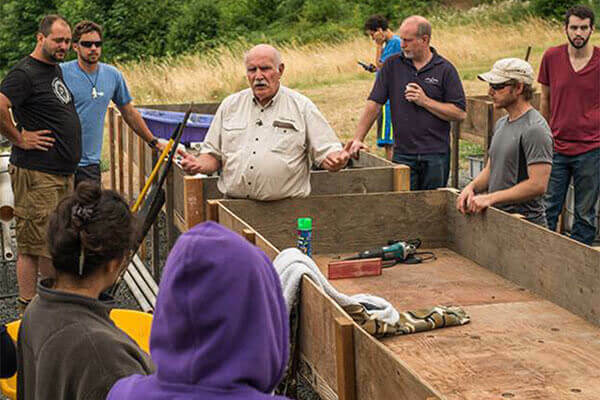 Shaping the dialogue of Aquaponic education over the years, WaterFarmers has partnered with several Aquaponic and Green Education institutions across the globe to develop a strong technical and business curriculum at several levels. Heat mitigating greenhouse design and choice of material with a combination of smart climate control mechanisms enables year round production. Being innately import dependent markets, businesses have the unique opportunity to offset imports and create realistic food security. Diverse crop portfolio possibilities. Major saving in freshwater consumption for agricultural production especially in arid regions. The further use of waste water for cooling mechanisms provided added water stewardship in these water scarce regions. OVERALL ADVANTAGES Market potential is high due to lack of qualtiy competition. Resource efficient methodology of production allows for high tech farming in arid environment. INCOMPETENCIES Mitigating high temperatures in a cost effective and resource responsible manner. SOURCES OF REVENUE LOSS Extreme summer temperatures, sand storms, higher energy costs due to climate control. TECHNOLOGICAL ADVANCEMENTS Superior transport infrastructure, Greenhouse climate control, shading, wastewater application for cooling. FAVORABLE TRENDS Preferential buying patterns for local produce with environmental benefits and superior freshness. ECONOMIC CLIMATE Markets in active arid regions are pegged to the performance of crude oil and hence are susceptible to econo-political fluctuations typical of the region. Trade and purchasing patterns are high sensitive to these conditions. MARKET SHIFTS Displacement risk is high due to import alternates constantly penetrating the marketplace. Import displacement, lack of demand, poor aggregator commitment. AREAS OF VULNERABILITY Seasonal hospitality and tourist foot fall coupled with market fluctuations due to political and economic re-allignment in the region in addition. Hurricane resistant greenhouse design with temperature and humidity control. Additional control processes for seasonal variations of heat and light. Most attractive market types as real estate is a premium and growing seasons for soil farming are highly dependent on climate variations. Net import markets, have a high offset potential. Export is a viable option in places where land is available. Fewer variations in crop portfolios are preferred. Renewable resources are unreliable in these regions. A consistent grid power is a requirement. Possible use of wind power may be explored. Closed loop nature of Aquaponics means fool proof bio-security to island ecology. No run off or discharge allows projects to be located near core urban areas for reduced transport costs. CORE COMPETENCIES Low freshwater usage, Zero pesticide or fertilizer content, less land requirement, No fertilizer run off, Environmentally neutral, Low carbon footprint, Bio-secure facility, Storm resistant, Independent of climatic variances. OVERALL ADVANTAGES Island environments are most delicate and closed loop Aquaponics lends itself well to this criteria. Agriculture on Islands is not cost effective due to limited real estate, hence greenhouse crop culture is most suitable. INCOMPETENCIES Humidity and summer heat mitigation. Light levels are also a reason for concern. RESOURCE DEFICITS Construction material and labour are usually expensive. Availability of construction infrastructure is questionable on islands. AREAS OF IMPROVEMENT Energy may be a premium, low energy consumption mechanisms must be explored. Temperature to humidty ratios on islands require further optimization. EVOLVING CUSTOMER NEEDS Demand for local produce that is dependable and year round. Healthy and trendy lifestyles of island economies. MARKET VOIDS Lack of significant local production, missing national agri-tech brand image. Most volatile markets susceptible to trade offsets and supply chain anomalies. Absence of freshwater fish species. FAVORABLE TRENDS Active tourism industry, High demand in F&B sector, Preferential buying pattern for local produce. Policy shift towards food sufficiency. OBSTACLES High TDS of groundwater, Typhoon tolerant construction is expensive, Island markets are small and there is a need to export. ECONOMIC CLIMATE Island markets are highly import dependant, and are easily hassled by the change in tide of the supply chain. This is favorable for Aquaponics as a domestic stability view point. But, brand loyalty and cheaper imports are potential issues of concern. MARKET SHIFTS Island markets once secured are quite stable because of innate requirements are quite stable and standard. Not much fluctuation due to lack of local competitors. AREAS OF VULNERABILITY Low volume demand and inability offset cheap, low quality import options. Most island markets typically import food from nearest developing country at a very low price. Most cost effective greenhouse implementations. Most competitive local markets. Makes more business sense to explore export options. Mono- cropping to achieve scale of production is preferred to grow in season. Exotics cultivation is an attractive option. Solar PV power for generation for consumption or net metering is a viable option for this region. Cogeneration can also be considered as a viable option heating in the winter. Bio-security of seeds and fingerlings is of prime importance to ensure no cross contamination with the immediate ecology. OVERALL ADVANTAGES Produce grown in a protected environment without fertilizers of pesticides in an environmentally responsble water saving system that has no run off to the environment. SOURCES OF REVENUE LOSS Practice is realtively very easy and fool proof in these regions. MARKET VOIDS Food grown in an environmentally responsible manner is few and far, lack of a trustworthy organic brand name. FAVORABLE TRENDS Awareness of a healthy lifestyle, Consumer is willing to spend extra on healthy and dependable food sources. OBSTACLES Competition from low cost conventional farms, potential flooding of the market with over production of a particular crop type. ECONOMIC CLIMATE Dominant agriculture industry translates to a market that can potentially be over supplied. A price sensitive market, as they are traditionally accustomed to low cost of vegetables. MARKET SHIFTS Market is demanding more quality which may lead to improved demand through differentiation of Aquaponic products. Important to understand the seasonal supply capabilities of the competition and grow in offseason cycles. Designs include both heat generation and storage alongside smart HVAC solutions for maintaining healthy growing conditions. Concepts like cogeneration and/or geothermal heating are incorporated for extended seasons. Off season production is key to market success. Offers additional income to farming operations in the winter when soil farming is not viable. Possibility of offsetting produce shipped from far away places provides for an attractive business outlet. Geothermal energy in applicable locations provides a clean source of heating. Cogeneration as both a waste management option and energy source is highly dependable in these climate zones. Solar photovoltaic is an option for places with low winter precipitation. Exotic cold water species like trout and arctic char can be cultured, leading to reduced strain on natural reserves and breeding cycles. CORE COMPETENCIES Low freshwater usage, zero fertilizer run off, year round production, Bio-secure facility, Fresh pesticide free product, consistent freshwater fish year round. OVERALL ADVANTAGES Aquaponics is excellent in this climate type as it brings local production to places that are logistically challenged in the winter where food scarcity is a relevant concern not because of the economics but more to do with the geography. INCOMPETENCIES Greenhouse heating, Season dependant culture of crop type and fish type, Challenges of filter pro-biotics innoculation. SOURCES OF REVENUE LOSS Poor light conditions during winters, Heat waves in summers, Snow load damage to greenhouse, Damage from weather related disasters, Failure of heating system in winter. RESOURCE DEFICITS Dependable heating source that is viable for the size of the operation. Geothermal and co-generation are great for large commercial operations. AREAS OF IMPROVEMENT Cold water microbe culture, small scale viable heating options, Heating at smaller scale. EVOLVING CUSTOMER NEEDS Millenials are key driver for organic market, Vegetables are most preferred organic choice, shift towards a more healthier lifestyle. MARKET VOIDS Seasonal scarcity of fresh produce, Endangered status of wild caught fish, Absence of year round local farming, high food miles, dependance on imports for pricing and availability. FAVORABLE TRENDS High demand for fresh produce with less food miles and price. Farm direct purchases through farmers market or CSA are becoming popular. OBSTACLES High cost of construction and heating at a small scale. ECONOMIC CLIMATE Very stable in terms of market purchasing power or commodity consumer trends. Very informed market. Most willing to spend more on quality produce and fish. MARKET SHIFTS Relatively stable market that is not very price sensitive. Values quality more than quantity and price. AREAS OF VULNERABILITY Cost of production is the only risk factor. Closed indoor structure usually implemented in multiple levels using vertical space and industrial mounting structures. Growing is facilities with the help of enhanced lighting, smart HVAC systems and temperature control. Mostly preferred in extreme cold climates where quality of light is not suitable for consistent crop culture. Limited localized competitors presents marginal market barriers. Attractive crop portfolios covering a balance between staples and exotics provides for better social acceptance. Solar PV is a very viable considering the electrical load of such systems is significant. Geothermal, district heating and wind turbines also find application as the structure supports the integration of such systems. Mostly situated in urban neighborhoods, city planning codes and building regulations become relevant in these locations. Clearly distinguishing shared utilities and services needs is built into the system design. OVERALL ADVANTAGES Indoor aquaponics brings growing to any location and makes for perfect urban integration models for restaurants and supermarket style venues, community centers and public interaction areas. Indoor designs are most suited for frigid or desert style environments where farming outdoors is not viable. EVOLVING CUSTOMER NEEDS Demand for local produce that is dependable and year round. Healthy and trendy lifestyles typical of urban regions. OBSTACLES Stark difference in taste and texture to outdoor grown, may have low market acceptability. ECONOMIC CLIMATE The economies of scale of indoor projects is still uncertain and very dependant on the location of the project. 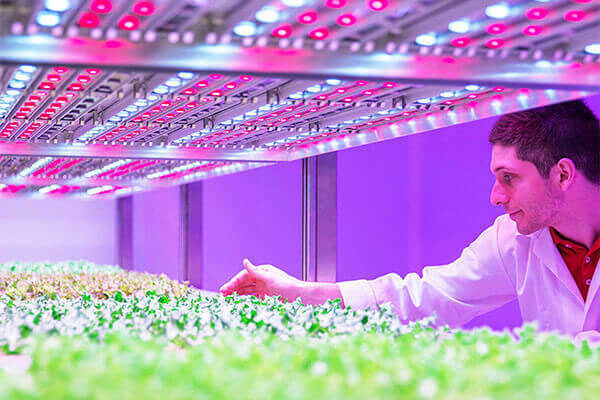 Ideally Indoor farms would cater to a very localized community and its immediate market. MARKET SHIFTS Displacement by existing products in the market is a possibility, due to low quanitites of scale. AREAS OF VULNERABILITY Indoor farms do not have perceived threats per say, however they are susceptible to market fluctuations. Due to high cost of production, the business may not be able to withstand an unscheduled and/or sudden drop in pricing. Initiation is the first phase of a project life cycle. This is where the project’s value and feasibility are measured. Our project managers typically use these evaluation tools to decide whether or not to pursue a project. A business case analysis, that is generated from the evaluation form you complete on our website is used as an assessment of the project’s goals, timeline and costs to determine if the project should be executed. The analysis balances the requirements of the project with available resources to see if pursuing the project makes sense. It justifies the need for the project, and it includes an estimate of market expectations and summarizes the potential financial goals. Teams abandon proposed projects that are labeled unprofitable and/or unfeasible. However, projects that pass these tests can be assigned to a project team or designated project office. Once the project receives the green light, it needs a solid plan to guide the team, as well as keep them on time and on budget. Our project plan gives guidance for obtaining resources, acquiring financing and procuring required materials. It gives the team direction for producing quality outputs, handling risk, creating acceptance, communicating benefits to stakeholders and managing suppliers. The project plan also prepares both our teams and your teams for the obstacles the project may encounter over the course of its implementation, and helps you understand the cost, scope and timeframe of the project. The design of the project is the most crucial aspect of the planning stage, and hence gets its own mention. The goal of this stage is to generate a three dimensional representation of the project alongside civil layouts, plumbing plans and a blueprint of adjoining facilities. Additionally, a complete bill of materials is generated to facilitate the succeeding procurement phase. The design is all about building into the project all the proposed deliverables that satisfy the customer. Team leaders make this happen by allocating resources and in consensus with the client team. Execution of the design relies heavily on the preliminaries of the planning phase. The work and efforts of the team during the execution phase are derived from the project plan and the design. Waterfarmers is not a material supplier or manufacturer, but providing turn key solutions is made possible by our steadfast supplier network and relations around the globe. This stage of the implementation is just as important as the others, as the project takes its first steps towards realization. Procurement is sometimes combined with the build phase because they often occur at overlapping times. As teams execute their project plan, they must constantly monitor progress of build execution and materials procurement. To guarantee delivery of timeline expectations, teams must monitor tasks to prevent scope creep, calculate key performance indicators and track variations from allotted cost and time. This constant vigilance helps keep the project schedule moving ahead smoothly. The build phase involves the construction of the actual project involving civil masonry, greenhouse fabrication, plumbing and electrical installations. We require our clients to engage competent and equipped contracting teams for this phase. Designs are usually not subject to change. However, unexpected events or advancing insight sometimes require deviation from the original design documents. Our project coordinators ensure these changes are discussed and acted upon without hindering ongoing construction. Waterfarmers protocols mandate understanding the obligations under workplace safety laws in your region. It is necessary to have a health and safety plan in place from day one of construction, and make sure everyone keeps to it. This phase is considered complete when all of the requirements have been met and when the result corresponds to the design, preparing the system for water fill. During this phase, everything that is necessary to bring the project to a successful completion is addressed. Our training is split into two parts, on-site and online. Firstly, we have partnered with Murray Hallam to develop a complete web based curriculum to help new operators navigate their systems for best results. Our second segment, is the system specific training that lasts for a month on the greenhouse site. It comprehensively covers daily routines, technical operations, data monitoring and reporting. Examples of activities in the training phase include writing handbooks, providing instruction and training users, setting up a help desk, maintaining the result and evaluating the project itself. 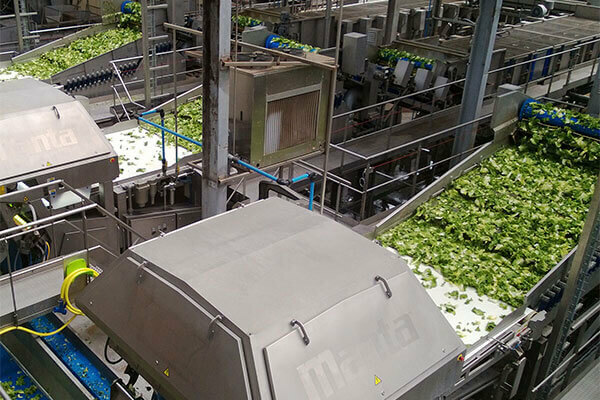 Over the course, nursery management and harvest planning, including food safety practices are also transferred to the operating team and management. an effective and environmentally sensitive approach to pest management that relies on a combination of common-sense practices. IPM programs use current, comprehensive information on the life cycles of pests and their interaction with the environment. This information, in combination with available pest control methods, is used to manage pest damage by the most economical means, and with the least possible hazard to people, property, and the environment. IPM takes advantage of all appropriate pest management options including, but not limited to, the judicious use of pesticides. In contrast, organic food production applies many of the same concepts as IPM but limits the use of pesticides to those that are produced from natural sources, as opposed to synthetic chemicals. The central question around our interaction with client farms in agronomics and management, is when and where the project ends. Project leaders often joke that the first ninety per cent of a project proceeds quickly and that the final ten per cent can take years. The boundaries of the training phase are considered during planning and agreed upon mutually, so that the project can be handed over, once it has reached these boundaries. However, that merely marks the beginning of a new journey between client farms and the Waterfarmers team. Our signature lifetime support package, is what differentiates us from our competition. We at Waterfarmers believe in securing the long term success of your business. We provide comprehensive maintenance troubleshooting, technical upgrades and continuous knowledge improvement for the lifetime of the project. No strings attached !! As players in one of the oldest supply chain systems in the history of civilization as we know it, WaterFarmers' business strategy aims to leverage market trends that turn produce to measurable ROI. Your product has a story to tell and we optimize that story for profitable results. Our marketing strategies evolve with your business objectives and its performing environment. Whether you are a new business or an established brand, we focus on targeting for staples, visibility for exotics and loyalty for quality. We are passionate about forging market relationships focusing on winning formulas based on SMART crop portfolios. 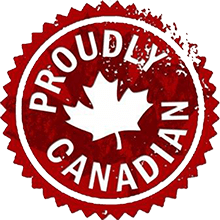 Our market approach is developed around multiple targets, including consumers, restaurants, retailers, and government industries. 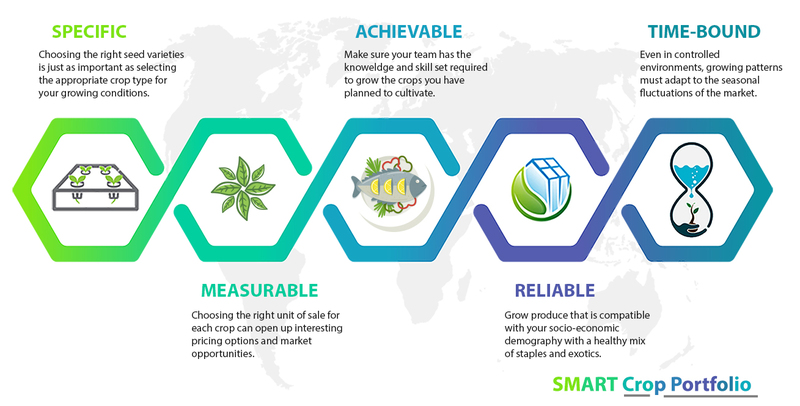 Effective Aquaponic marketing requires analysis of market data, use of that data to identify changes in demand, and develop persuasive arguments for multiple audiences in order to increase demand. The Aquaponic market comprises of a number of different groups, including farmers, manufacturers, consumers, and legislators—all with wildly different goals and concerns. Our business models can prepare you to build persuasive cases for each of these different groups. WaterFarmers systems aid in forecasting production figures against economic data while being aware of market issues particular to your products, such as the commodities markets, futures trading, government subsidies, and the impacts of farm debt. Sound agronomic sense will equip you to better understand both the components of the market, and the people involved. To learn more about what WaterFarmers can do for you, request information from us, and sow the seeds for your future enterprise. Our projects are designed with the expectation that each aspect of the food production life cycle is optimized to positively impact human and environmental health. We take pride in our work, and we show that to our clients in the way of our commitment to projects for life. Project owners are expected to have a proactive commitment towards systemic problem solving and maintaining the general well-being of the project. However, we provide an active support system to all our projects for the lifetime of the project, no strings attached, no matter the size or scale. WaterFarmers' clients around the world are enabled with the necessary tools to embrace innovation and build an enterprise. The WaterFarmers strategy is about taking our knowledge, using it to prioritize what you want to accomplish and putting together action that we undertake as a TEAM to realize the future of possibility.